A seasoned woman, whose quiet mirth has tickled us, is preparing to leave. A seasoned woman, whose heart-love cherished us, is relocating to Baltimore, Maryland, her simple belongings packed into a van. Now in the care of her married daughter, in the care of the assisted living staff, in the care of her new church community, in the care of the next women’s group she will discover, she will move through her end-days. Caring lines etch her wizened face. Cropped white hair sets off her dark eyes, that bespeak unseen realities, a faraway wisdom. No longer does she live in the past or future. The present moment, one slipping seamlessly into the next, satisfies. She has become deeply woman – as nurse, as physician’s wife, as mother of two daughters, as grandmother, as widow, as church member of Second Baptist, as neighbor in Brentwood Forest in St. Louis, Missouri, as friend and confidante of many. She has not flinched from life. She has been stretched, pained, challenged, cast adrift, bewildered, puzzled. Yet within her angst lies the paradox of her continuing transformation. Within her hollowing, the hollowing of Another. Within fresh tears of this separation lies hilarity in the face of more diminishment. Within her darkness lies the Steadfast Light illuming her next step. This is Jo. 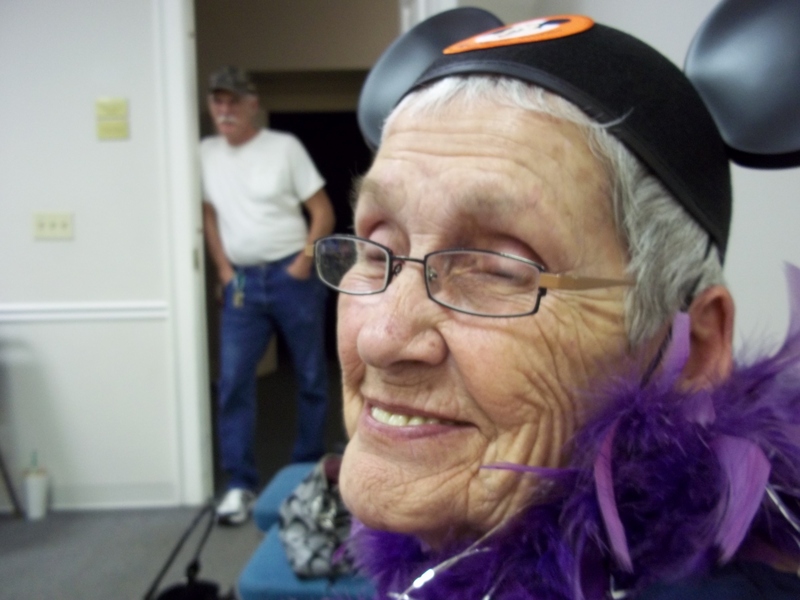 We will miss her very much, especially her Mickey Mouse hat.